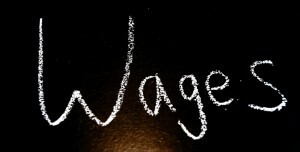 Home Minimum Wage Is Your Business Ready for the New Minimum Wage Increase? The passing of Proposition 206, referred to as the Healthy Working Families Initiative, raises the minimum wage in Arizona from $8.05 an hour incrementally over the next four years to $12 an hour. Businesses, especially small businesses, need to be aware of all aspects of the new wage and hour measure, which goes into effect January 1, 2017. Another stipulation includes carry overs for unused PST; however, employers are not required to pay out unused PST to employees whose employment is terminated. In addition, employers may require employees hired after July 1, 2017 to wait 90 days from date of hire before using any accrued PST. Prop 206 also defines the situations for which PST can be used, including when an employee has a mental or physical illness or is caring for a family member with mental or physical illness, when a public health emergency arises, and when an employee must address issues related to domestic violence. If you have not started to plan for the impact Prop 206 would have on your business, time is running out. Chris Mason is a labor and employment law attorney at Jennings, Strouss & Salmon, P.L.C. He counsels employers and management on all aspects of labor and employment law, including traditional labor matters, such as collective bargaining and union organizing; restrictive covenants; employment discrimination; sexual harassment; whistleblowing; retaliation; wrongful termination; personnel policies; reductions in force; trade secrets; duty of loyalty; drug and alcohol testing; and other state and federal laws, rules, and regulations. 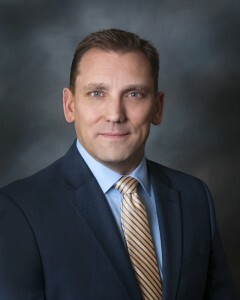 He is also an experienced litigator, representing clients in Arizona, federal, and appellate courts, as well as before administrative agencies, including the National Labor Relations Board, the Department of Labor, the Equal Employment Opportunity Commission, the Arizona Civil Rights Division, and the Department of Economic Security.